The Oakland Raiders have officially touched down in Mobile, Ala., and the Senior Bowl festivities are fully underway. Tuesday afternoon, the media coverage was in full swing with players from both the North and South rosters taking the podium to speak with reporters from all across the country. In addition to the plethora of talented college prospects, Raiders Head Coach Jon Gruden took the podium to share his expectations for him and his coaching staff this week. Gruden and Co., will be tasked with coaching the North roster, which is filled with a handful of first-round prospects, and the familiarity that Gruden and General Manager Mike Mayock will establish with many of the players on the roster will pay dividends when the 2019 NFL Draft rolls around in April. The primary focus for many NFL scouts this week will be on quarterbacks Drew Lock and Daniel Jones, who are both projected to go in the first round of the Draft. Each have accomplished a lot during their college careers, and even though I’m sure Gruden will be excited to impart his quarterback knowledge on the pair of young signal-callers, he knows the team needs to address its need in the pass rush. Last season, the Silver and Black finished last in the league with 13 sacks, and there’s an emphasis on remedying this problem. Fortunately for the Raiders, this Senior Bowl class has plenty of skilled edge rushers, and Gruden is wasting no time analyzing some of their tape. 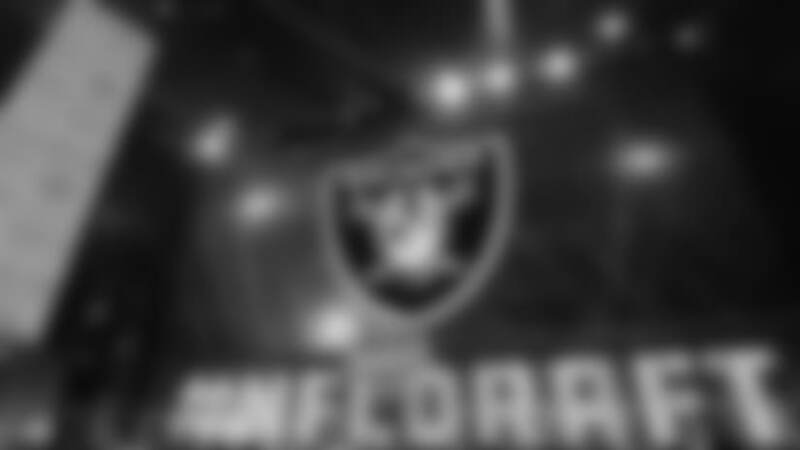 Sweat has frequently been linked to the Raiders in several mock drafts from NFL analysts around the league — take a look at our Mock Draft Tracker, here — and has a wealth of talent that will translate at the next level. 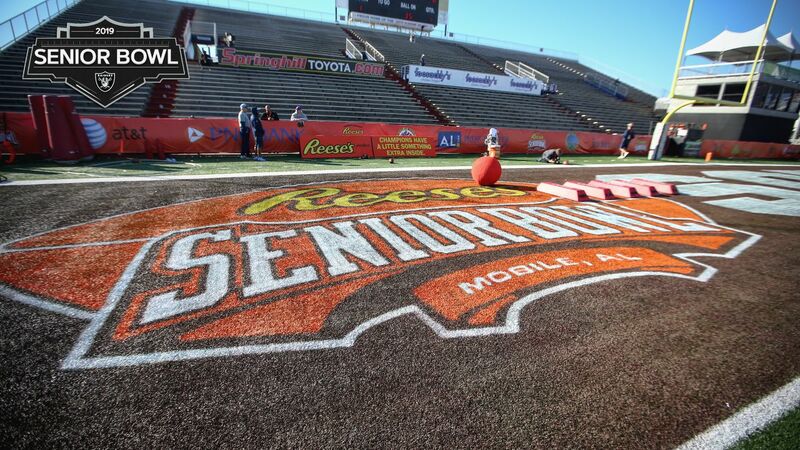 Whether it’s Sweat, Ferguson, Collier, or Allen, keep an eye on them during the Senior Bowl. The fact the Raiders have three first-round picks gives Gruden and Mayock plenty of flexibility to do as they please, and Gruden shared Tuesday that the team isn’t excluding anything from happening in the upcoming Draft. 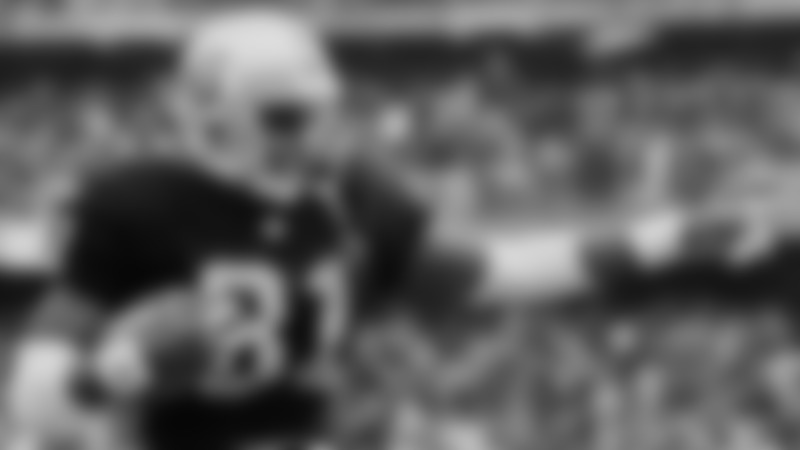 On offense and defense, the team needs to get better at a variety of different positions, and this week will allow the Raiders coaching staff the opportunity to hopefully find some young prospects to fill those needs. The expectation and overall message from Gruden this week is to help this next crop of players mature, and continue their development. He has a vision in mind, and sorting through all the players in attendance to help bring that vision to fruition is the goal. It’s only Day 1, but I’m excited to see how Gruden and the rest of the coaching staff interact with the players going forward. During his press conference, Gruden also revealed that former Raiders quarterback coach Brian Callahan had accepted a job as the Cincinnati Bengals offensive coordinator, and wouldn’t be returning to the Raiders in 2019.